The eagerly anticipated battle royale featuring PRWeek's five favourite campaigns in May was won by Topshop's Splash campaign, with a VR experience that is part of a broader summer marketing push. It garnered 66 per cent of the nearly 800 votes cast. 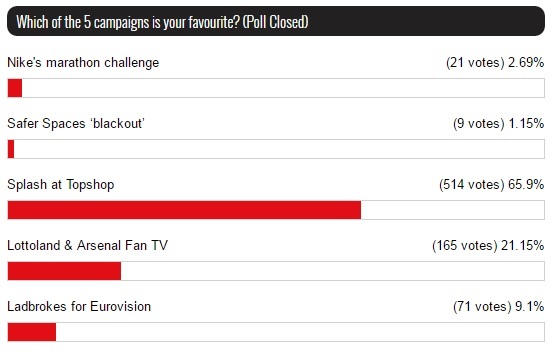 In second place, with 165 votes, was Lottoland's tie-up with Arsenal Fan TV, in which the online channel's host Robbie dreams how he'd change the club if he won big with the betting firm. 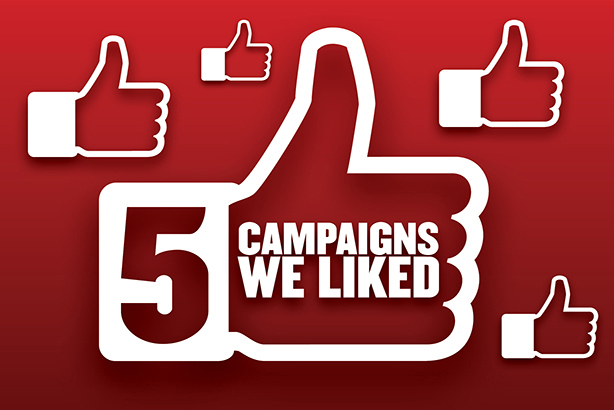 The campaign was devised by its agency Frank. Whether virtual reality will ever truly take off is still hotly debated, but that hasn't stopped Topshop placing it at the centre of its latest campaign. Situated at the retailer's flagship store, 'Splash' allows shoppers to don an Oculus Rift VR headset, before being immersed in a very unusual version of Oxford Street. Participants will discover Topshop-themed surprises as they 'slide' down Oxford Street on an inflatable device. 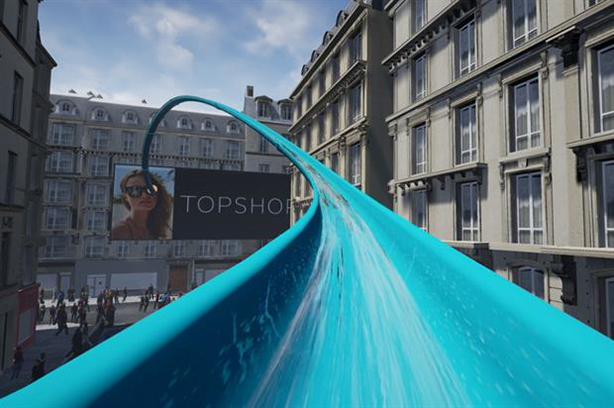 The VR waterslide is part of an 'interactive pool scene' which is being displayed in the store's windows. The wider summer campaign includes the smell of sun cream being spread throughout the store, a range of summer pop-ups and a branded snapchat lens, immersing users into a summer-themed aquatic world. The free experience was developed in partnership with Your Studio, with the VR being designed in collaboration with digital agency Fat Unicorn.